This is a solid stainless steel magnetic anklet. This nickel free anklet has a powerful & permanent 3300 gauss neodymium rare earth north facing magnet in each link. 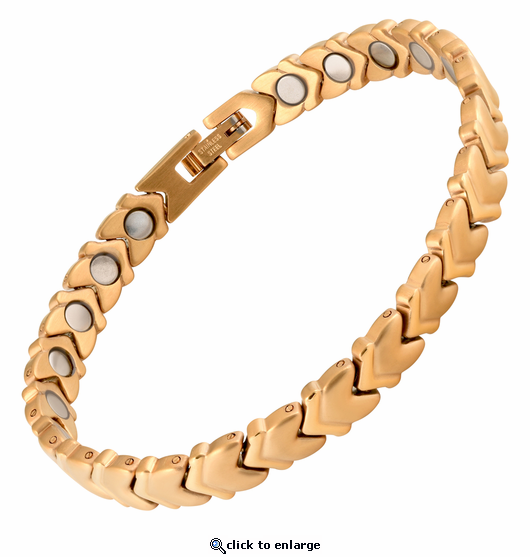 It is styled with matte 18k gold hearts and shiny 18k gold accents. This anklet is about .30" wide and .12" thick. This anklet closes securely with a snap shut clasp.